Aerial art photographs from a helicopter of the 9/11 Tribute Lights in NYC by Steven Archdeacon. 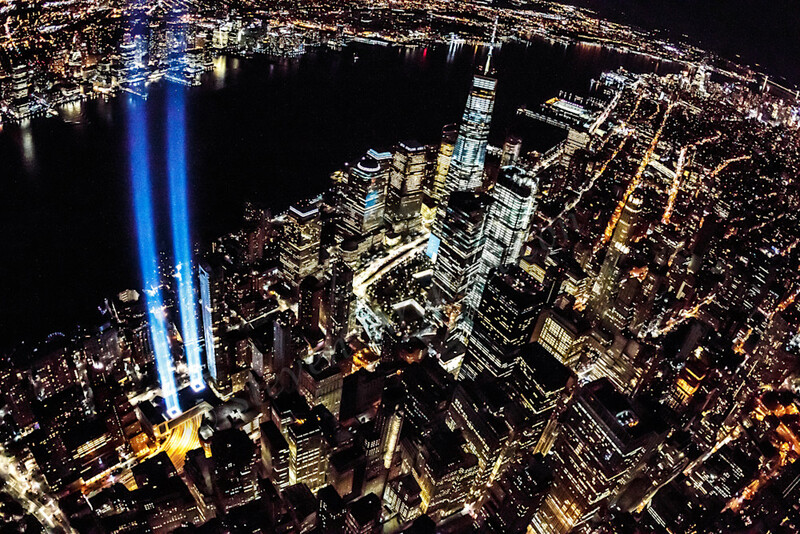 9/11 Tribute Lights Aerial from a helicopter from very close above the World Trade Center. This is one of my favorite shots I've EVER gotten! There's only 1 way to get this picture and that is with a helicopter with open doors. This is by far one of my favorite shots I've EVER taken as it just shows how big New York City really is, but most of all it is a tribute to those that lost their lives on 9/11. NEVER FORGET! "To live in the hearts left behind is not to die."